Dr Layani started his formal training in laparoscopic surgery in France (1990). 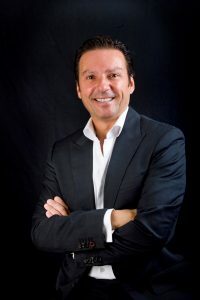 Since being admitted to the Royal Australian College of Surgeons in 1998, he has been honored by numerous national and international institutions for his role as an educator and facilitator for new developments in bariatric surgery. He is currently a major contributor to research being done in the US regarding new surgical treatments for obesity. A number of highly respected surgeons around Australia and the world have completed varying components of their formal training under his guidance and many have gone on to establish themselves in private practice. He was the head surgeon for Weight Loss Solutions Australia (WLSA) at John Flynn Private Hospital in Queensland, Australia and has been in private practice for over 12 years. Chan SW, Hensman C, Waxman BP, Blamey S, Cox J, Farrell K, Fox J, Gribbin J, Layani L. Technical developments and a team approach leads to an improved outcome: lessons learnt implementing laparoscopic splenectomy. ANZ J Surg. 2002 Jul; 72(7): 523-7. Silverman C, Layani L. Introducing the Orbera Intra-Gastric Balloon into a Weight Loss Practice. Winner 'Best Poster', OSSANZ Conference, Hobart, Tasmania 2010. Braun W, Kekkef M, Tanchev D, Silverman C, Layani L. Introduction of Laparoscopic Vertical Sleeve Gastrectomy into Bariatric Practice. Poster Presentation, OSSANZ Conference, Hobart, Tasmania 2010.